We've been waxing lyrical about small form factor hardware for a few years now and for very good reasons. Motherboards such as Asus' Maximus V Gene proved some time ago that micro-ATX motherboards offer just as many features and and are just as overclocking-friendly as full-size motherboards. While it and other mATX boards may lack a couple of PCI-Express slots, you can still use a discrete sound card and even splash out on a dual-graphics system. 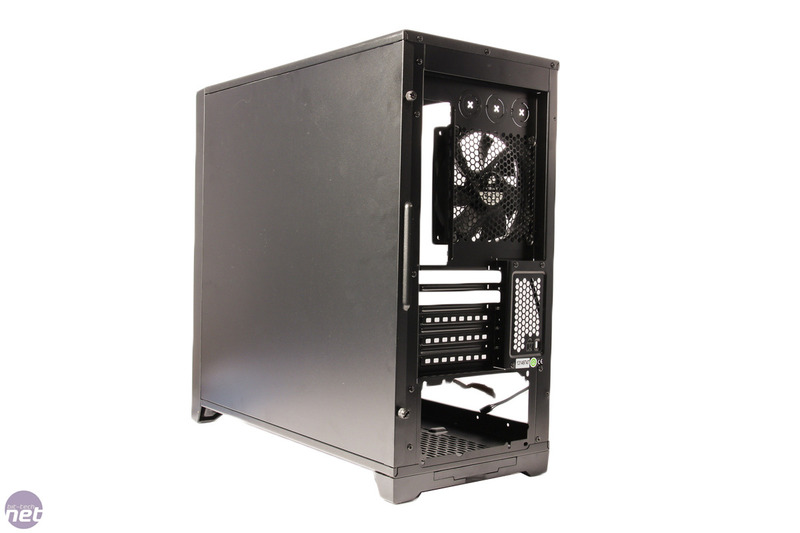 Following this trend, we've seen a few micro-ATX cases recently, and in fact there's a move towards even smaller hardware, with mini-ITX now a viable option, with both some cracking motherboards and cases. 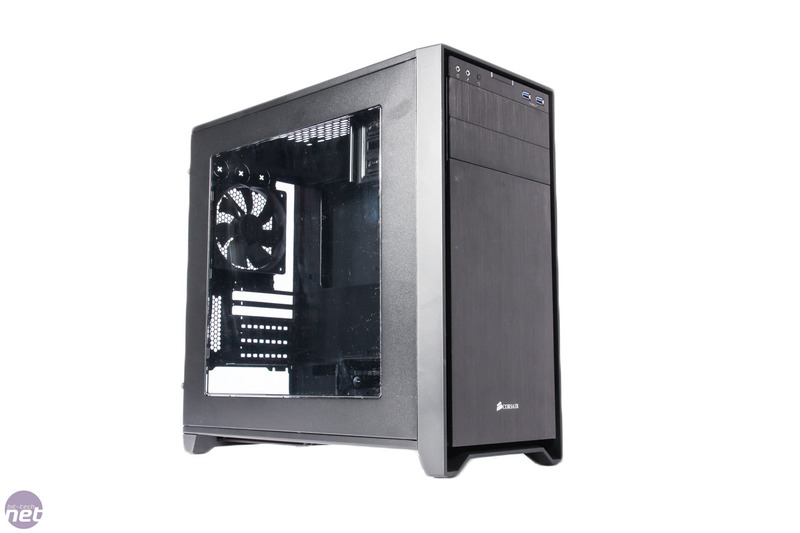 Corsair is usually one to be quick off the mark with new products such as all-in-one liquid coolers, but the latest addition to its Obsidian case range, and the first Obsidian micro-ATX case, is only Corsair's second in this dinky form factor. 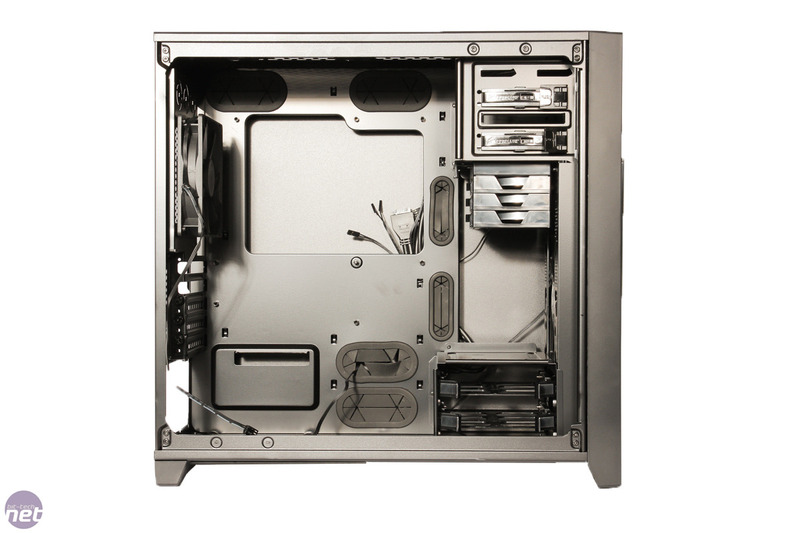 There's also the glaring omission of mini-ITX too - a hole that pretty much every other case manufacturer has covered. 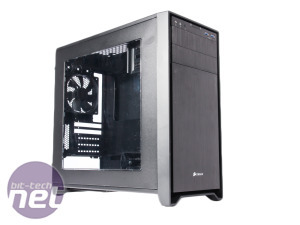 We digress, but thankfully Corsair is looking to cement its place in the micro-ATX category, just as it did recently in the super-high end arena with its flagship water-cooling case, the Obsidian 900D. The Obsidian 350D isn't exactly small. 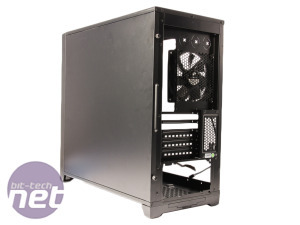 It's taller and wider than the Fractal Design Core 3000, which supports full-size ATX motherboards, and NZXT's micro-ATX Vulcan is significantly smaller all round. 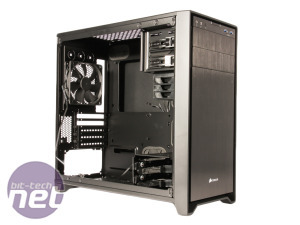 Perhaps the reason for this is the design choice - it looks like a mini Obsidian 900D, with a near-identical front panel and chunky frame. There are two external 5.25in bays, with the third cover providing access to a large removable dust filter. 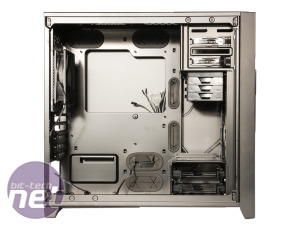 The power button is located just below the front lip of the case, between the usual mini jacks and two USB 3 ports, which sit above the top 5.25in bay. Two models were available at launch - one with a side window and one without, although the cost difference is negligible. 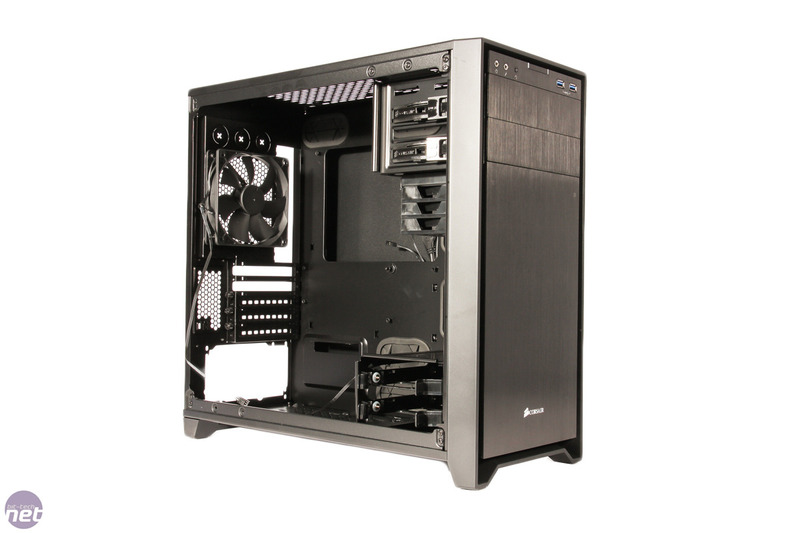 As some of you picked up in the Obsidian 900D review, Corsair is perhaps being a little overzealous with the size of the side panel, with the Obsidian 350D again showing a couple of drive cages through the window, though it's a little less glaring than the Obsidian 900D. However covering these areas up would mean the window would end up being little more tham a vertical slit as it's not a deep case, plus as bit of judicial modding can easily cover the exposed drive bays with something more attractive.